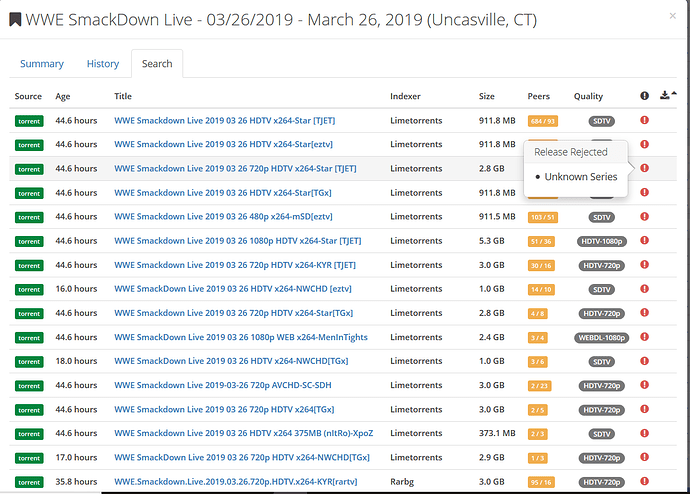 Smackdown live manual search, all results show as unknown series. 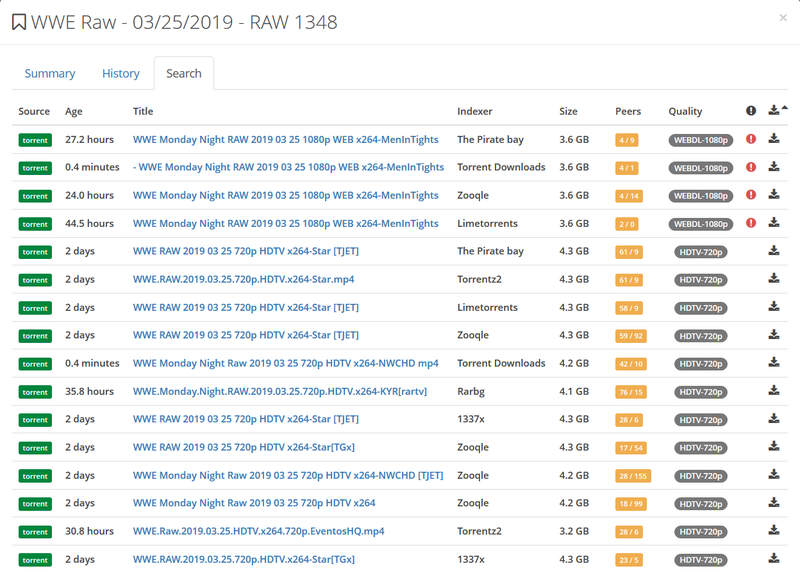 205 Live manual search all results show as wrong series apart from some random releases labelled as S3, which make no sense as episode numbers for the show, all date formatted entries show as unknown series! I know it’s only grown men rolling around in their underwear but should I log this on github instead as a bug? No, this is not a bug, it’s a naming issue. 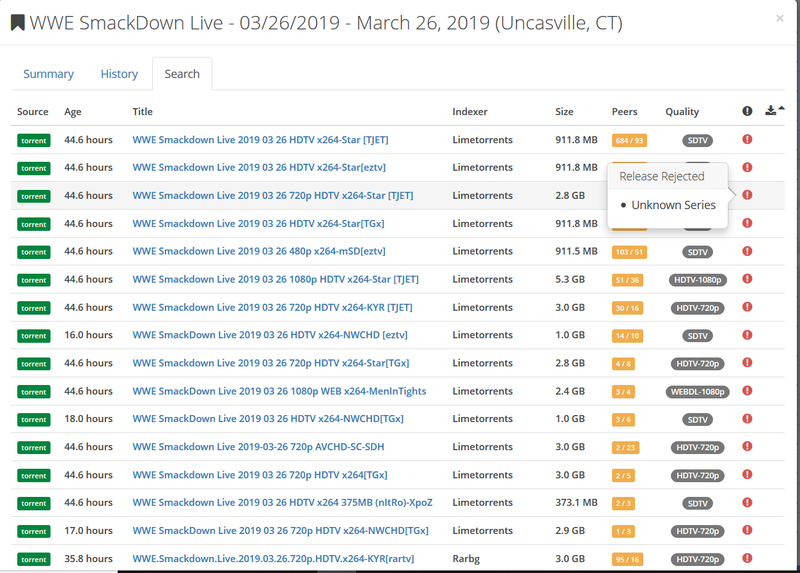 WWE Smackdown Live is an alias for WWE SmackDown (https://www.thetvdb.com/series/wwe-smackdown). It looks like they are partially the same, though the series the alias is linked to have more episode information. 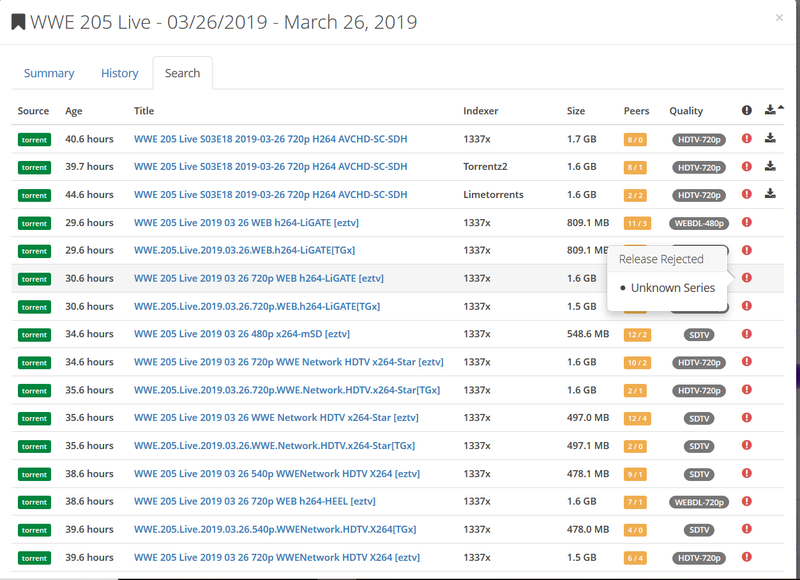 This should be cleaned up on the TVDB and things should be consolidated to a single series. The WWE 205 Live issue is they are being parsed as anime releases, there may be nothing we can do without an overhaul to the parsing system. 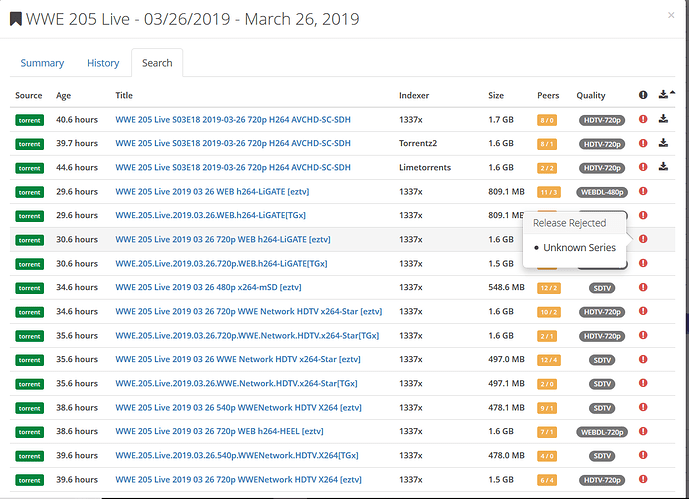 This is why the logs show: Episode Parsed. WWE - 205 instead of the full title + date. Thanks. 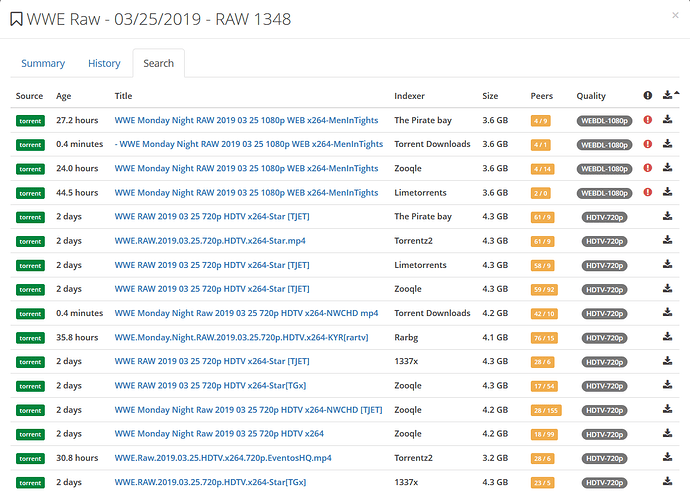 Adding the other series directly using its tvdb id and then doing an auto search for last weeks episode with the series set to daily has worked. Thank you. 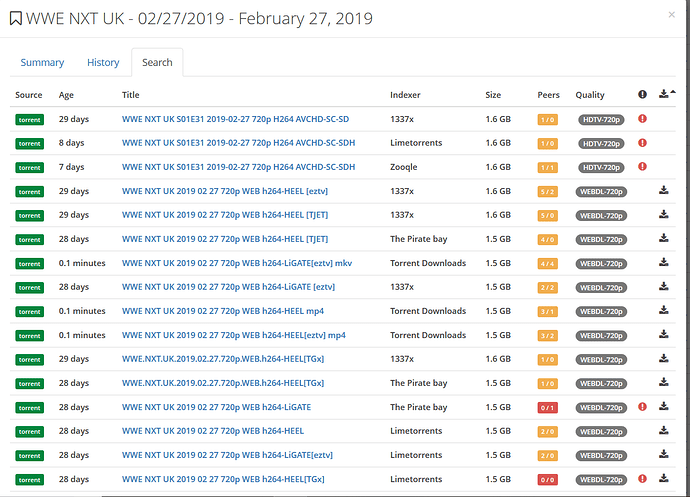 As for 205 live, I can deal with that series having to be a manual search and manually clicking one of the links it provides, it’s not a massive big deal.